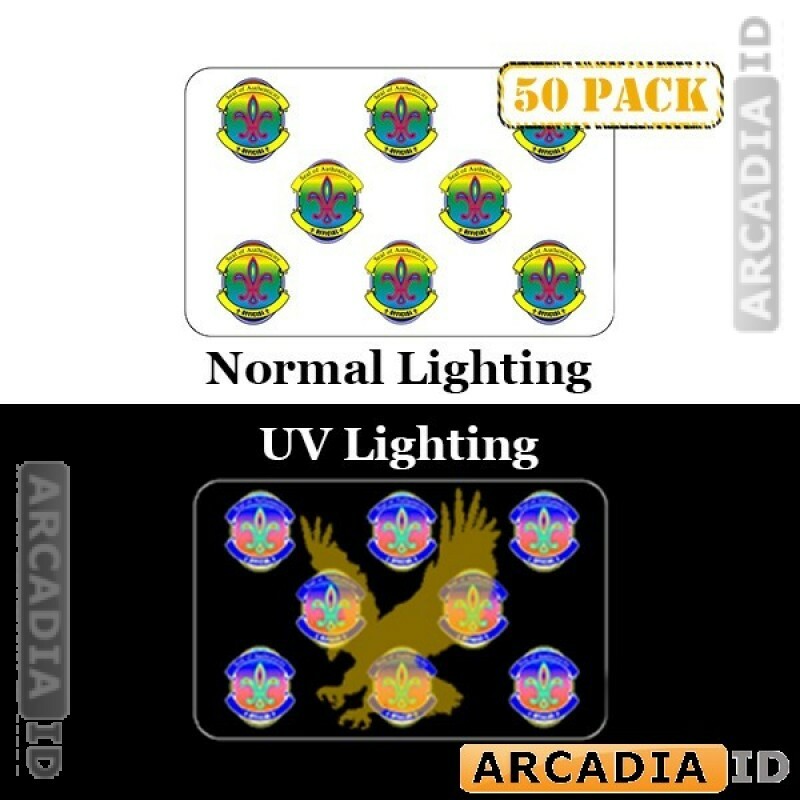 These packs contain 50 'official seal' holographic ID card overlays. These overlays make it harder to copy your ID photo cards and add prestige and professionalism to your IDs. Don't see what you need? Call us now and we'll be happy to help. For the best quality and prices you can rely on ArcadiaID.